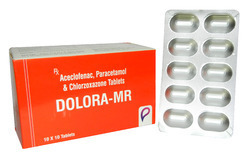 Aceclofenac, Paracetamol & Chlorzoxazone tablets. Useful : muscle relaxant, anti inflammatory, antipyretic. We manufacture Diclofenac sodium - 50 mg tablets. TYPICAL USAGE :- Adnexitis, dysmenorrhoea, inflammation, migraine, post-operative pain, post-traumatic pain, rheumatoid arthritis. TYPICAL USAGE: Dysmenorrhoea, fever, inflammation, juvenile chronic arthritis, menorrhagia, migraine, musculoskeletal disorders, osteoarthritis, pain, post-operative pain, post-partum pain, rheumatoid arthritis. MECHANISM OF ACTION: Telmisartan is used to reduce high blood pressure. It is an angiotensin-II receptor antagonist, sometimes known as an antihypertensive. It is used to treat high blood pressure (hypertension). Angiotensin II is produced in your body and causes your blood vessels to narrow, increasing your blood pressure. 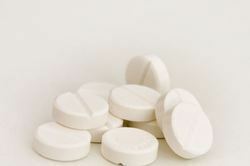 Telmisartan blocks the effects of angiotensin II, so that your blood vessels relax and your blood pressure is lowered. Telmisartan is also used in the prevention of cardiovascular events such as heart attacks and strokes in patients who are at risk because they have reduced or blocked blood supply to the heart or legs or have had a stroke or have high risk type 2 diabetes. In general this drug is used for high blood pressure (hypertension). Benefits of being on this drug can include a reduction in blood pressure which is associated with a reduction in the risk of stroke, heart attack, heart failure, blindness or kidney failure. TYPICAL USAGE: Disorders of calcium balance, Edema, Heart failure, Hypertension, Oedema, and can also be given in adjunctive therapy as an alternative drug of choice in Diabetes insipidus. MECHANISM OF ACTION: Hydrochlorothiazide, a thiazide diuretic, inhibits water reabsorption in the nephron by inhibiting the sodium-chloride symporter (SLC12A3) in the distal convoluted tubule, which is responsible for 5% of total sodium reabsorption. TYPICAL USAGE: Analgesic, antipyretic, dysmenorrhoea, rheumatoid arthritis, osteoarthritis, musculo skeletal disorders, soft tissue injuries, tooth extraction, post-partum and post operatively, acute gout. Juvenile idiopathic arthritis.